This three-star hotel property is located in the city center. The Hotel Zur Post Salzburg is within walking distance of many famous places of interest, such as the Mirabell Castle and Gardens, the Getreidegasse, the River Salzach, the Hohensalzburg Fortress, St. Peter's Monastery, and Mozart's birthplace. The Hotel Zur Post Salzburg is within close proximity to the Salzburg airport. Taxi service or the plentiful public trains and buses can achieve transportation between the two. Most points of interest are within walking distance, and bicycle paths are in abundance. Sightseeing tours often provide a shuttle service from the hotel. 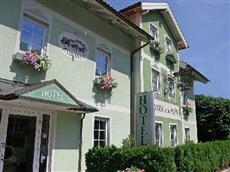 Many wheelchair accessible rooms are available at the Hotel Zur Post Salzburg for persons with disabilities. All rooms are equipped with cable television, wireless Internet, and alarm clocks. The baths are en suite, and provide hair dryers and complimentary toiletries. No keys are necessary, for the locks have been upgraded to allow keycard entry. Non-smoking rooms are available upon request. The Hotel Zur Post Salzburg is housed in three historic buildings that have been renovated extensively. Most rooms overlook a private garden and terrace. The in-house sauna offers a solarium, and breakfast is served each morning in the breakfast room.